Are links to your content shared via private messages on social media? Wondering how to identify and measure that traffic? Dark social traffic comes from sources such as Facebook Messenger, Twitter DMs, and even email. Being able to accurately trace this traffic will give you a more complete picture of how your content is performing. In this article, you’ll discover what dark social is and how to track it using Google Analytics. 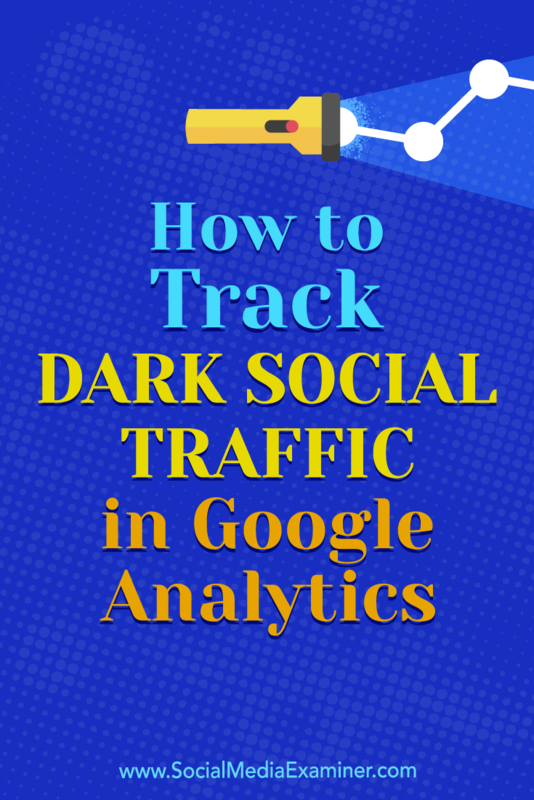 How to Track Dark Social Traffic in Google Analytics by Rachel Moore on Social Media Examiner. First, let’s define what we know as “standard” social media today. When you publish a website link in a post from your Facebook page, the goal is for as many of your customers as possible to see it. The post appears in users’ news feeds, where they can like, comment on, and share it on Facebook or elsewhere. It’s a public post intended to reach a wide swath of users. That’s the public social media you use every day to gain an audience and drive traffic to your website. Now, let’s look at another type of sharing. Suppose a user visits a website and finds a great blog post or product link that they think their close friends will love. Instead of clicking a share icon, the user copies the URL of the website link. When a user shares a URL by copying and pasting it into a messaging app, there are no campaign indicators at the end of the URL. Alexis C. Madrigal first coined the term “dark social” in an article in The Atlantic. It’s important to your marketing strategy because, as reported by Business Insider, messaging apps are outpacing social networking apps in active users. With more users investing their time in messaging apps and with more of these apps developing features to improve the experience, the time is now to get on board with using dark social. There are two aspects of dark social that separate it from standard social (or public) media. Think about your business website. You likely have at least one form or checkout page that captures new leads or paying customers. Because those conversions translate into revenue for your company, you want to learn how those customers are arriving at your website. Your website analytics tools provide this information by tracking referrer data. These little pieces of metadata cling to a website link when it gets shared and ultimately bring a visitor to your web page. 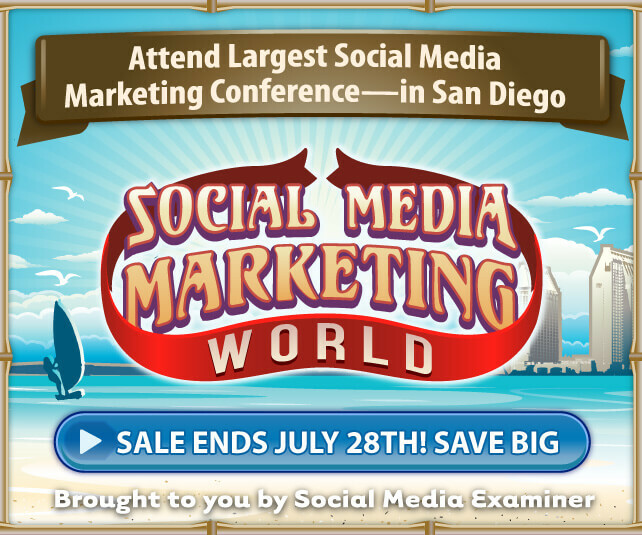 It’s the equivalent of learning how an attendee heard about and traveled to your event. Dark social is like a visitor appearing out of thin air. If a user shares a link to your website by copying and pasting it into a private message, the metadata that would have traveled with the link is absent. That user’s friends could visit your web page and it would look to you as if they just typed the URL into their browser bar and landed there. 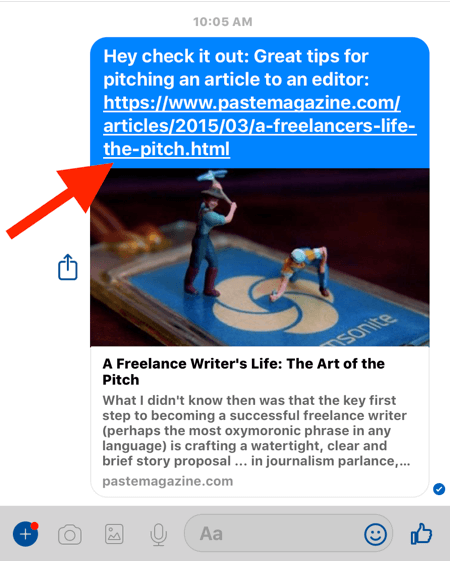 If users simply copy and paste the URL when sharing your article in Facebook Messenger, say goodbye to tracking data. Now let’s look at another aspect of dark social. Think about your customers’ social media interactions. When they like a tweet, comment on a Facebook post, or share a YouTube video, those activities are visible to their network. Their like of a post may prompt their friends or family to like it, too. Their negative review on Facebook may prompt colleagues to avoid your business altogether. Engagement on social media is very public and can be affected by that visibility (translation: peer pressure). Now contrast public social with dark social. When your customers engage with one another or even your business through a direct message, the interaction is private and far more effective, intimate, and targeted. Once you’re in private conversations with users, you’re empowered to learn about them and identify needs that you can solve. There’s no place in dark social for self-aggrandizing or widespread promotion; instead, the value lies in authentic one-to-one or one-to-a-few interactions. If you’re grasping this aspect of dark social, perhaps you’re already imagining how it can really work for your business. Let’s dive into that a bit. Using private messaging to connect with customers hearkens back to more traditional methods of sales and customer service. When one of your team members engages one-to-one with a customer, that same relationship can be translated to a one-to-one dark social experience. Facebook lets you create page ads that bring a targeted audience directly into a one-to-one communication via Messenger. For instance, the All Seasons Pools & Spas Facebook page creates targeted ads to bring leads directly into Messenger for a chat, as shown in the example above. This is an excellent way to bring a lead into a conversation with your business, but it’s also crucial how your team member responds and engages with the lead. Chad Illa-Petersen, owner of Social ChAdvisor, is bringing more of his clients into this type of advertising and emphasizes the need for treating this avenue of sales/service just like every other legitimate method of communicating with customers. Another business using dark social to mobilize customers is Adidas. They use private messaging to address customer issues, questions, and concerns. Adidas uses dark social to cultivate fans and consumer advocates. 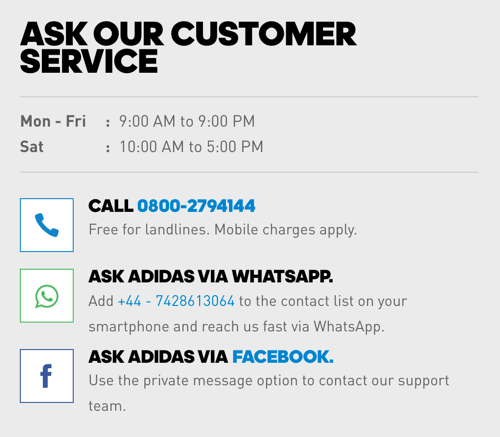 Adidas also includes Facebook Messenger (and WhatsApp) customer service options on their website. 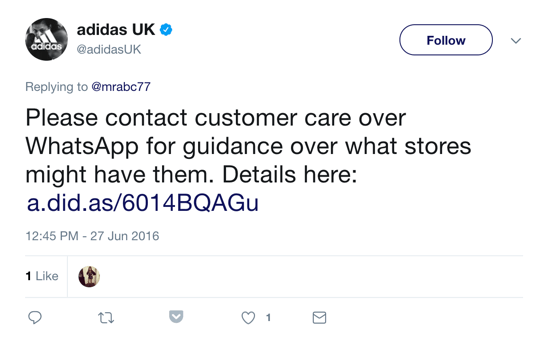 In addition to a phone number, Adidas includes WhatsApp and Facebook Messenger links for customer care options. The more recognized method of dark social is guiding a customer complaint or case into a private interaction. Let’s be honest: Sometimes customers use social media to complain if they feel it will get them a faster result. For instance, I tweeted to my mobile carrier about not being able to hear incoming calls at home. When customers reach out for support via social media, you can redirect them to a private conversation to resolve their issue. What started as a public Twitter thread turned into a private message interaction. 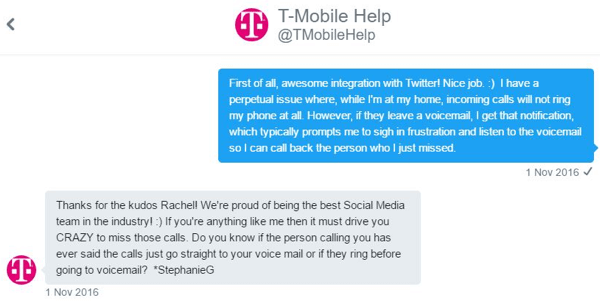 A T-Mobile customer service rep was able to interact with me one-to-one and zero in on my issue. Here’s the kicker about this interaction: While my complaint and the company’s response were public, the solution was private. That may seem counterintuitive for a brand that wants every win to be promoted to the world. 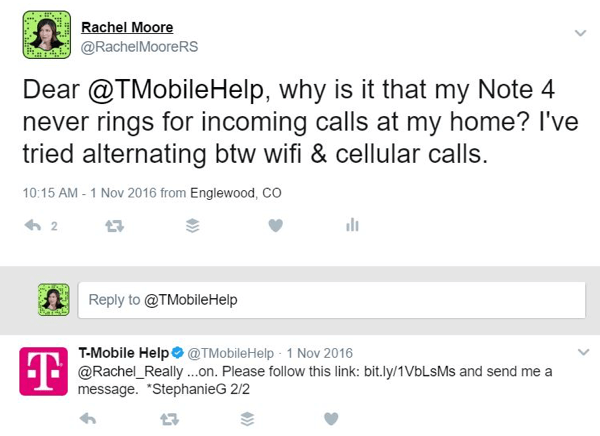 However, by privately focusing on my account, T-Mobile took care of me faster than by sending me an FAQ link in a public tweet. Now that we’ve looked at a few ways your brand can try out dark social with customer engagement, let’s look at the other aspect: elusive tracking. As powerful as Google Analytics and other tracking tools are, you won’t be able to go into your analytics and find a report named “dark social traffic,” at least not yet. Until tracking website sharing through messaging apps is more conclusive, there are workarounds to narrow down the data you seek. Here’s a rundown of how to configure Google Analytics to get an idea of your dark social traffic. 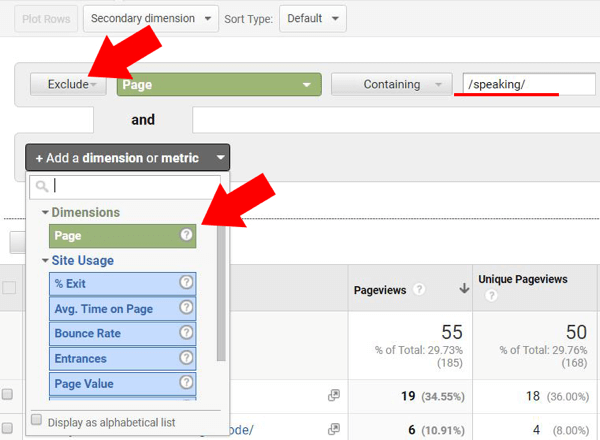 First, go to Audience > Overview in your Google Analytics website data view. Click on the Add Segment option on the right. In Google Analytics, select Audience > Overview and click Add Segment. From the list of segment options, select Direct Traffic. Deselect any other segment options so that Direct Traffic is the only segment. Then scroll down and click Apply. 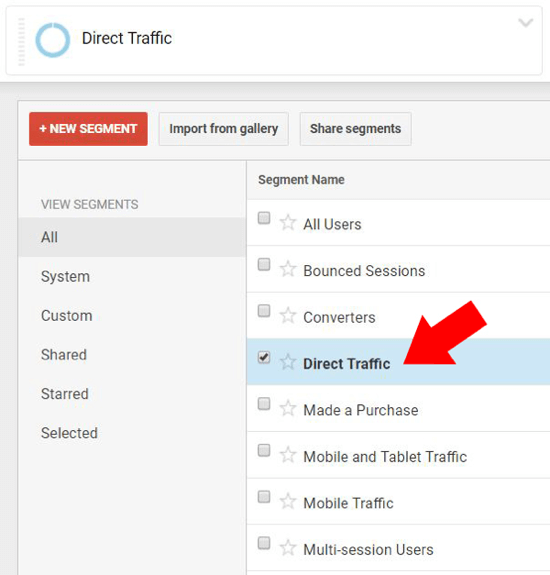 Under Overview in Google Analytics, select Direct Traffic and make sure no other segment names are selected. Now that you’ve narrowed down the traffic, you can narrow it even further to the most likely suspects of your website’s dark social destinations. To do that, go to Behavior > Site Content > All Pages. 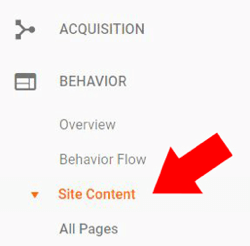 Under Behavior in Google Analytics, choose Site Content > All Pages. The result will be a list of all of your web pages that have been accessed via direct traffic. Now you need to filter out those that are memorable enough to be manually typed into a search bar. Click the Advanced link on the right to create a new filter. Under All Pages in Google Analytics, click Advanced to create a new filter. The first filter to appear will default to include a page. You want to change Include to Exclude in the drop-down list. Select Page as the dimension. Then in the field at the end of the row, type in the directory of one of your simpler web pages (for example, “/blog/”, “/contact/”, or “/about/”). Tip: If you type in a forward slash (/), you’ll see a drop-down of suggested directories of your website you can enter. Change each filter to Exclude, select Page as the dimension, and type one of your shorter web page directories in the text field at the right. Add as many of your simpler website URLs as you can to this filter. Once you apply the filter, your results will consist of your website’s harder-to-remember URLs, which carry no referrer data with them. These URLs are the likely results of dark social traffic to your website. Now that you have a clearer sense of which of your web pages are getting shared through messages and texts, you can try a few tactics to narrow it down even more. Plug in some opt-in traffic monitoring on the pages you see getting shared the most through dark social. For instance, if your blog article “/15-ways-mobile-shopping-dominates-big-city-living/” is one of your likely dark social pages, add a button on the page offering a free white paper if visitors tell you how they discovered your site. Additionally, give website visitors better sharing buttons for your content. Include messaging apps like WhatsApp and Slack in your options. If a visitor uses a button instead of the copy/paste method in their private message, the referring data you need to track your visitor’s path will be included and you won’t be left in the dark. One part of the Internet has been with us as far back as AOL chatrooms, yet it’s hardly talked about. Dark social is happening with greater frequency (to you and about you) and your business success relies on knowing how it works. What do you think? 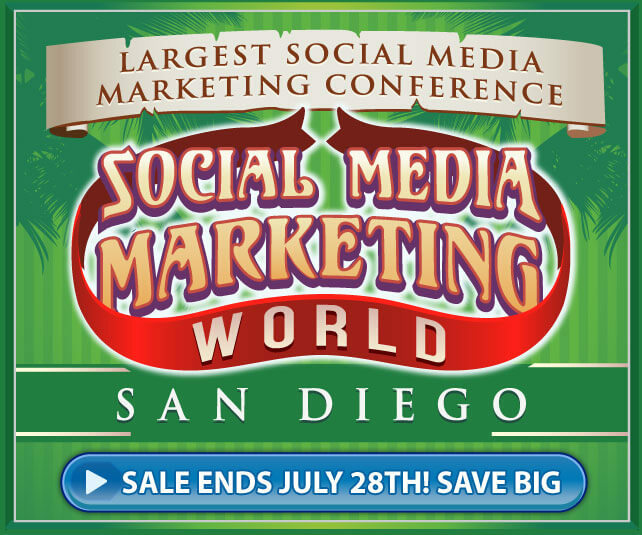 Do you know how much traffic you’re getting from dark social? Please share your thoughts in the comments below.